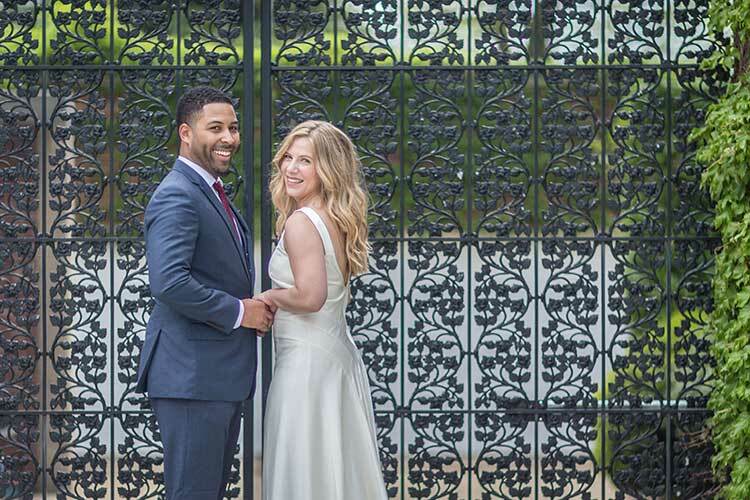 Jess and Ben had a beautiful, intimate elopement ceremony with close family and friends at the Spanish Steps near Dupont Circle. We asked them to share a bit about their elopement and this is what they had to say! We met online while Ben was working at the opera company in Saint Louis, where Jess was living at the time. We’ve been together for two years, all of which we have been commuting to see each other. Jess is from St. Louis, MO and Ben is from Waldorf, MD. 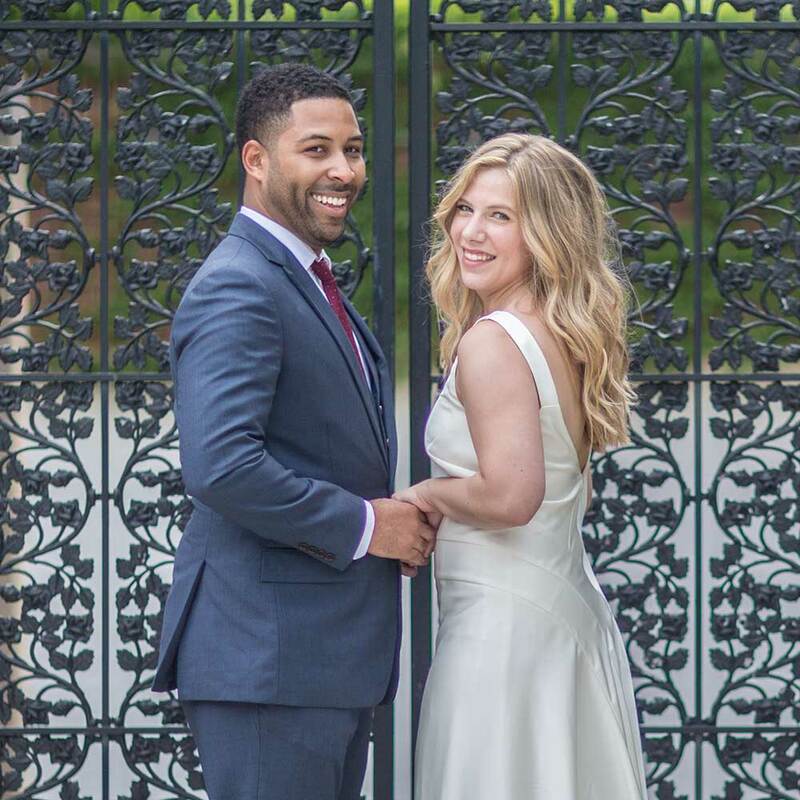 Jess is a Senior Digital Marketing Specialist in D.C. and Ben travels for work in opera as a Baritone. We chose to elope because we didn’t want the drama and hassle of a big wedding, and we wanted a few people that would genuinely love to watch us marry each other. We also wanted to have some sort of ceremony where we could dress up and take beautiful pictures for the future! We got engaged in DC at the Lincoln Memorial Reflecting Pool on the mall. Since Jess moved to the area in October, DC is our home base now, so we naturally looked online and found DC Elopements. It was much easier and more convenient to elope in DC than it would have been in Jess’ home state. We loved working with DC Elopements because it was quick and simple. We virtually had no wedding-related drama that some of our friends experienced doing larger celebrations. Also, since Jess was new to the area, it was helpful to not have to plan or pick out all the big stuff – DC Elopements helped with it all! Jess: Marrying Ben was hands-down the best part of the day. We loved our officiant Kiana (who went to the same undergrad as Ben!) and the photographer made me feel comfortable and beautiful! I spotted Ben standing at the top of the steps when I was looking for parking and almost cried in the car. I simply can’t wait to see what our future holds together. Ben: Marrying my love with my family watching, our officiant and photographer, and first seeing Jess when she walked down the stairs were my favorite memories of our wedding day.